There might be a big liability under the surface of your back yard that you need to check out before you sell your home, before you apply for a mortgage, or even before you get home insurance. It is not just land lines and heavy steel cars that are remnants of a bygone era which we have replaced with much more efficient and eco friendly ways of living; in the lower mainland we have actual man-made dinosaurs buried in some of our back yards that need to be dealt with for the sake of safety, insurance, and environmental health. Yes, that is right, we are talking about oil tank removal in Vancouver. 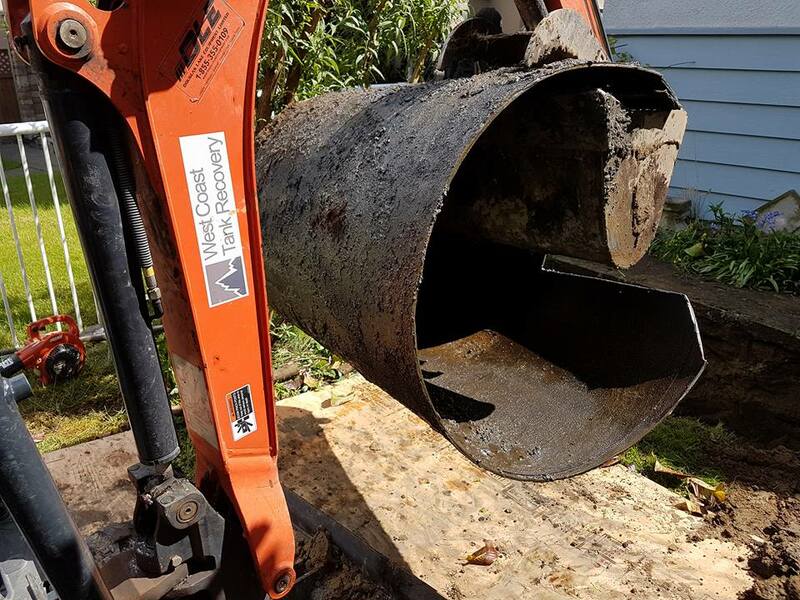 The fact that you need this oil tank removal in Vancouver will have you thinking poorly about them, since they are now more of a problem than a benefit, but it is good to remember that these tanks were an amazing leap in home heating. A wood stove was wonderful and could heat an entire room easily, but it needed constant tending and cleaning and all sorts of other efforts just to keep the house heated for an entire day. The oil tank represented amazing progress and convenience. A truck would come by and fill your tank and then your entire house could be heated with very little effort on your part. But, then electric and natural gas heating became the norm and the oil tanks were no longer needed. Now they are just reminders of a technology that was so innovative but extremely outdated now. They are so outdated that you can have one buried somewhere in your yard without you knowing it. The presence of one of these tanks can get in the way of you buying or selling a home, it can be dangerous, and it can impede you getting a mortgage or home insurance. The bylaws in the lower mainland are clear that you are responsible for the detection and for oil tank removal in Vancouver. So, it is in your best interest to make sure you know if you have an oil tank on your property and how to get it removed. West Coast Tank Recovery are experts in the oil tank detection and oil tank removal in Vancouver. They will be able to help you with any and all questions you might have about oil tanks and what needs to be done with them. They will even give you a free estimate, so you are sure what you are dealing with.